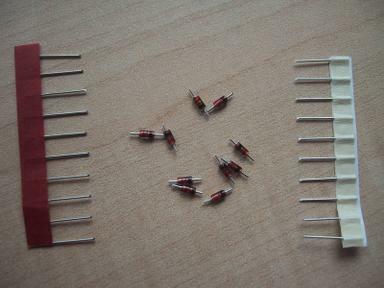 We will now insert the diode, from the DCD pin of the serial port, to the voltage regulator, and the resistor from the cathode of the diode to the RTS pin. 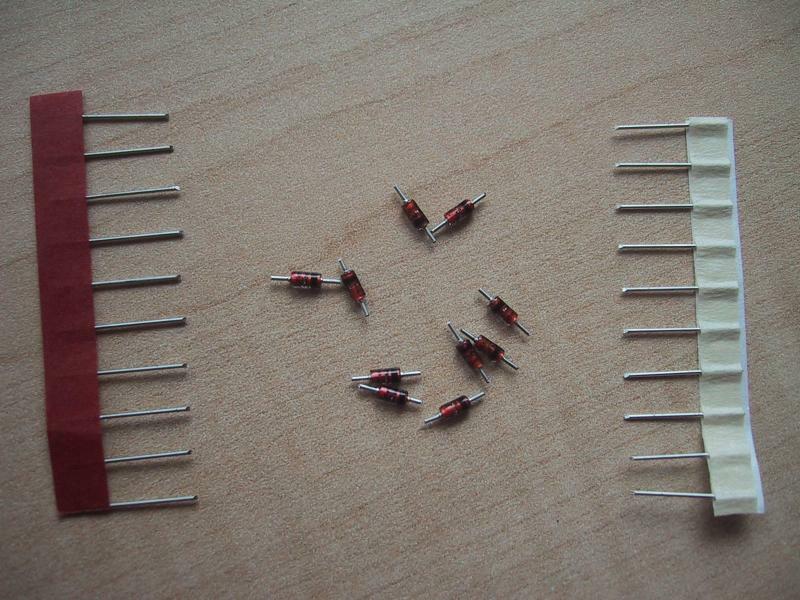 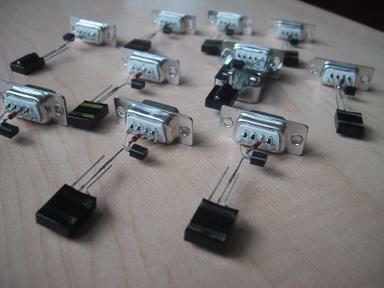 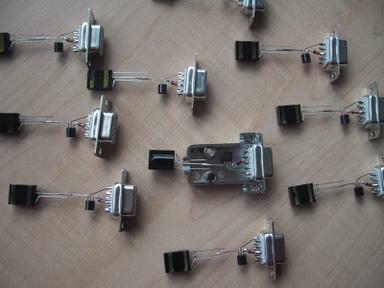 [-] The same with the resistors, depending also on the size of your particular component. 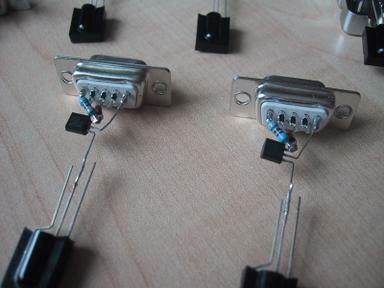 [-] The diode have to be inserted in the pin number 7 of the serial connector and then soldered to the input pin of the voltage regulator. 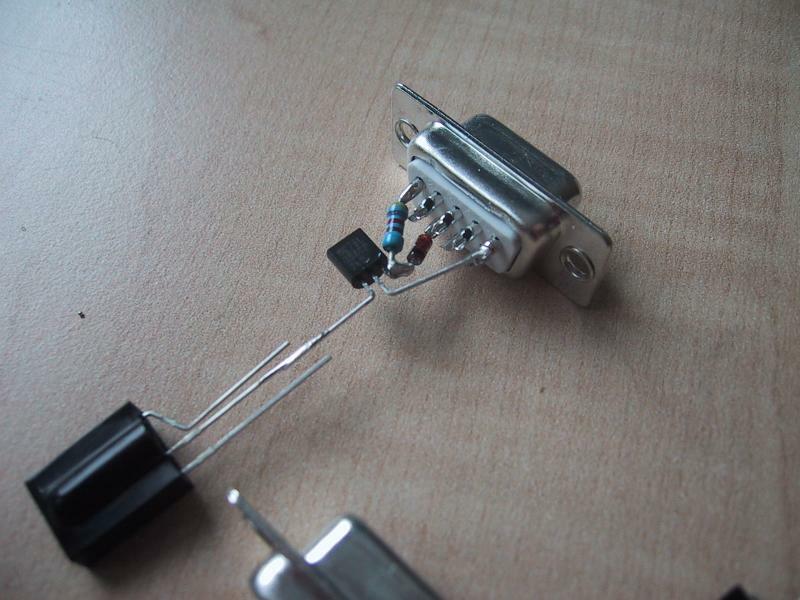 [-] This picture shows even better where the diode has been inserted. 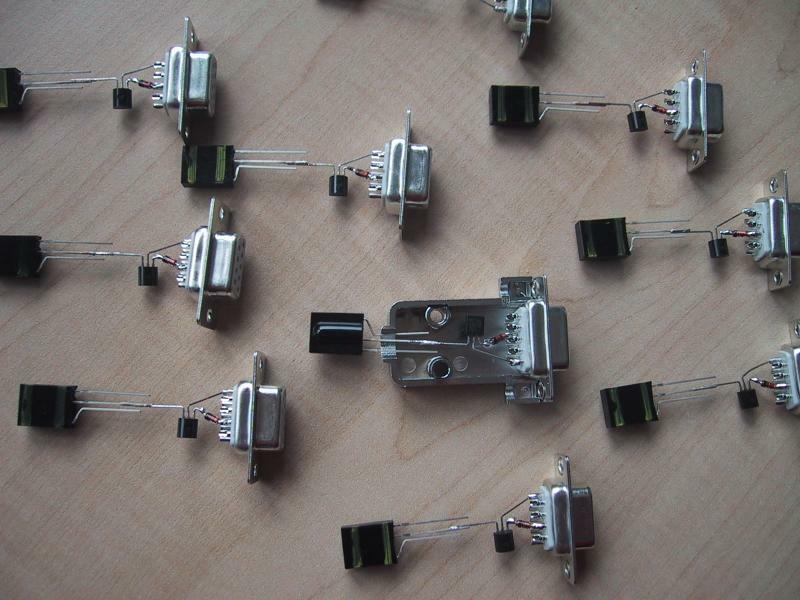 The serial connector is upside down in this picture of course. 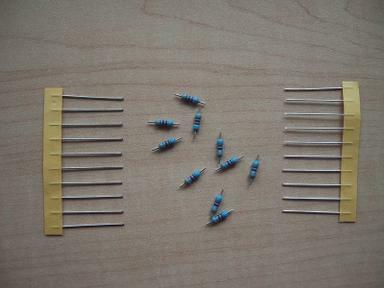 [-] The resistor have to go from the pin 1 of the connector to the same input pin on the regulator, soldered together with the diode. 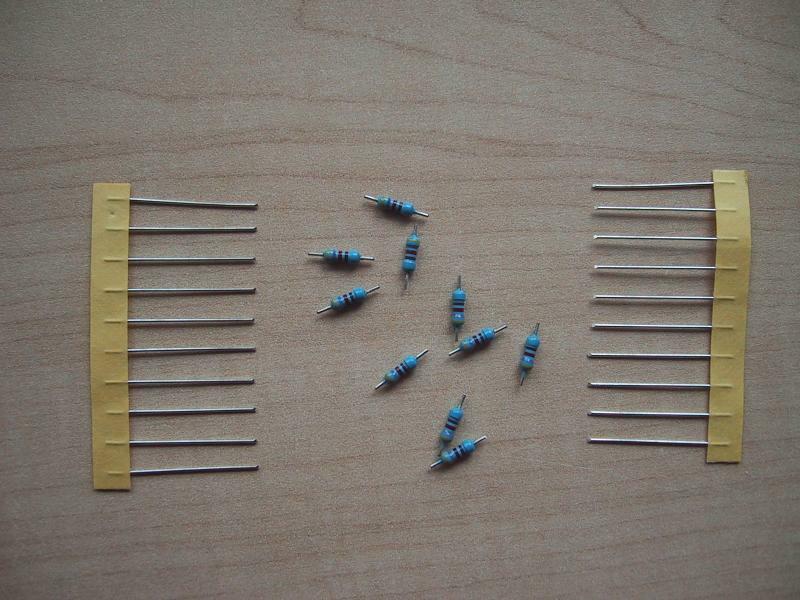 [-] Another view of the resistor together with the diode.